At the CBI conference just a few weeks ago, Centrica boss Sam Laidlaw casually remarked that, were the government to cut green levies on energy companies, the firm would immediately pass on those savings to its customers. David Cameron, it seems, took that to heart: this morning, the government announced plans to reduce the cost of the Energy Company Obligation, which, among other things, forces energy providers to contribute to the cost of insulation and more efficient boilers for low-income and vulnerable homes. The plan will apparently shave £30-£35 off the average bill - for those on variable tariffs, anyway. On top of that, customers will be given a rebate of £12 for the next two years – worth about £600m in total. The government also took the opportunity to remind us all about The Warm Homes Discount, which ‘will continue to help millions of vulnerable households receive a £135 rebate off their energy bill’. Marvellous. Alright, so in the ‘businesses behaving badly’ stakes, energy bills are this year’s PPI – at least the government is going in the right direction. 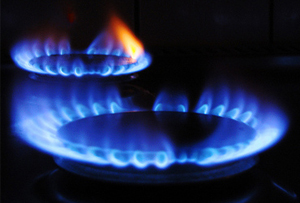 And many of the ‘Big Six’ have jumped at the chance to announce that they’ll pass on the savings to customers: Centrica-owned British Gas said it will reduce gas and electricity prices by an average of 3.2% from the beginning of January, while Npower said it will freeze prices until spring 2015 and SSE said the average customer will save £50. That leaves E.ON, which said it would pass on savings but wasn’t sure how much, Scottish Power, which has yet to release a statement, and EDF Energy, which said it had ‘anticipated’ the changes and had already factored them into its pricing, so it won’t be lowering its bills. Bah, humbug. As far as PR spin goes, it’s all hunky dory (except for EDF). In reality, though, 50 quid a year isn’t exactly going to rock energy customers’ worlds - nor is it much of a substitute for a consistent and properly thought-out energy policy, which has been consistently lacking for the past 20 years. That, we presume, explains why energy secretary Ed Davey was on the defensive. ‘I think people will welcome this,’ he told Sky News. ‘We are trying to do everything we can and we want the energy companies to do everything they can.’ Reading between the lines, there’s a sense he’s still waiting for energy providers to start playing ball. This is the first of many leaks from Whitehall of the contents of George Osborne’s Autumn Statement, which takes place on Thursday. Stand by for a week of Whitehall-based headlines.